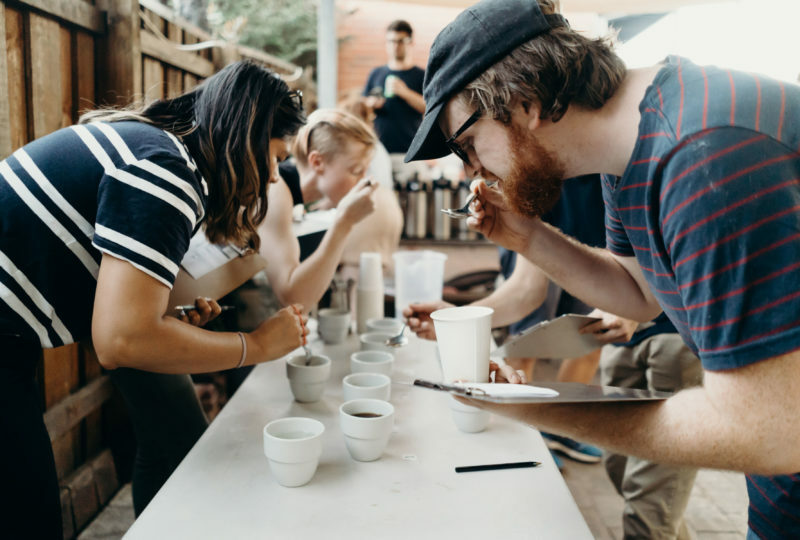 Much love to all who joined us at the Lake St Coffee Olympics last week! 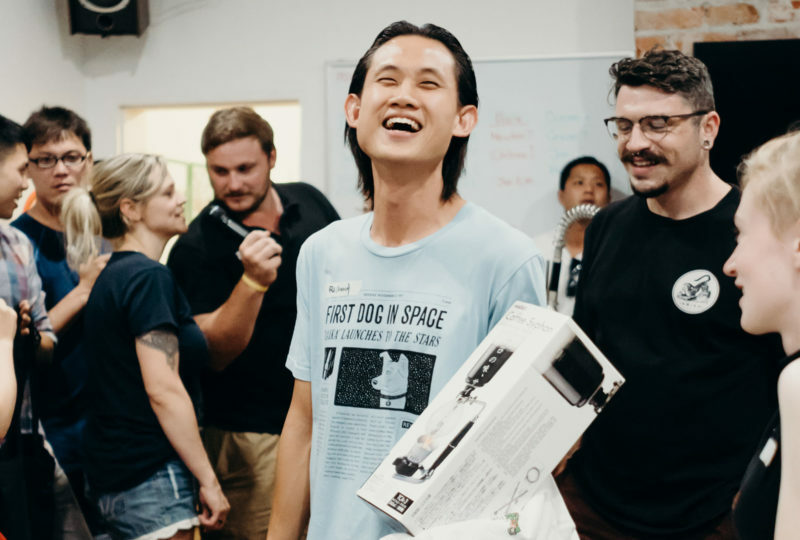 To quote our tech legend Beau “Awesome. 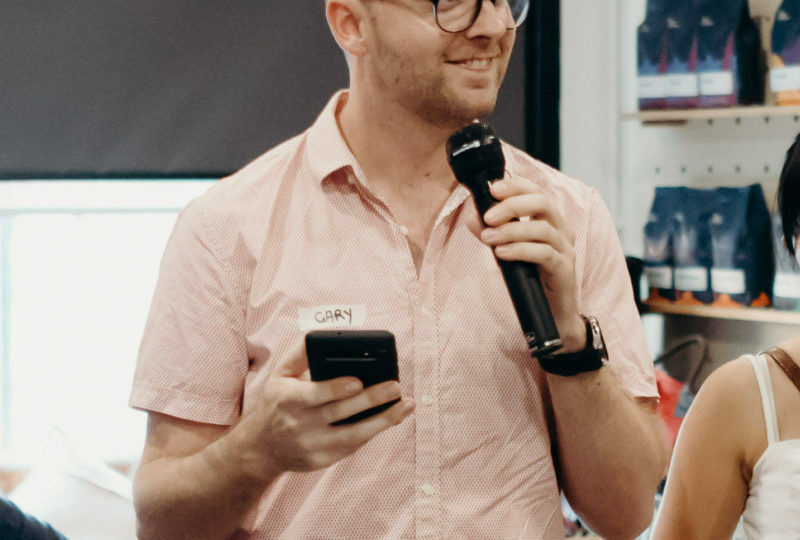 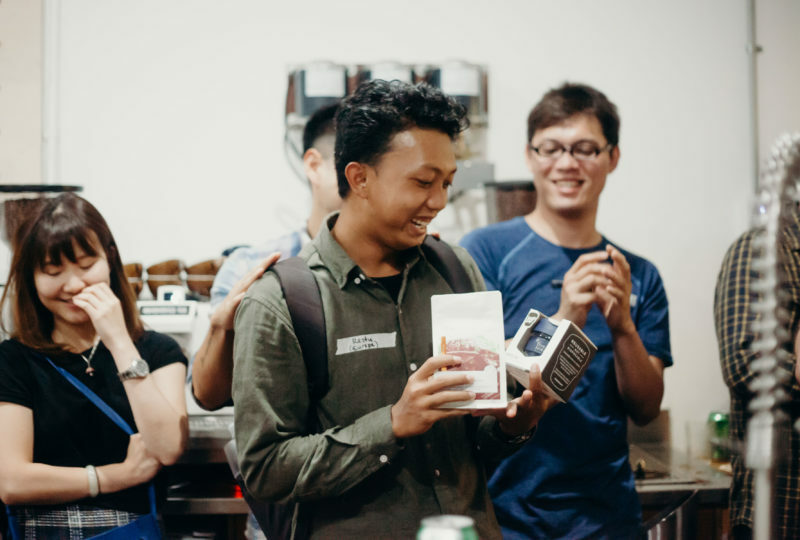 It was the best and biggest gig we’ve had at the Barista Academy”. 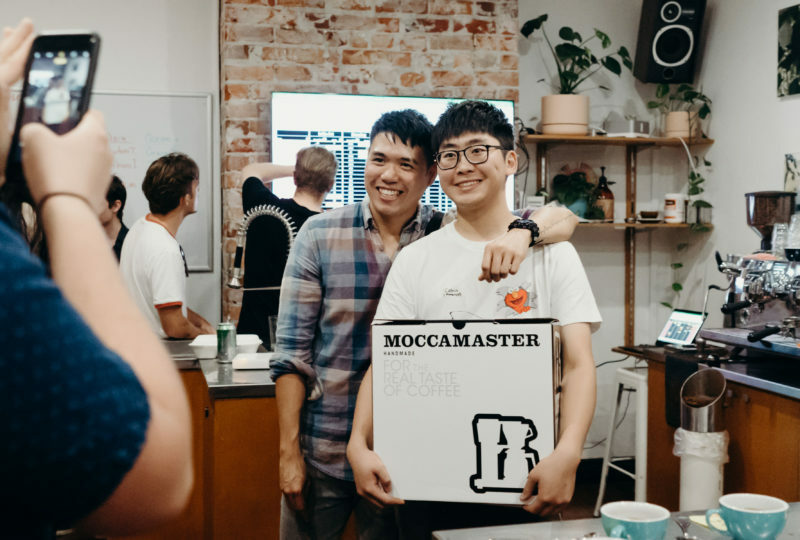 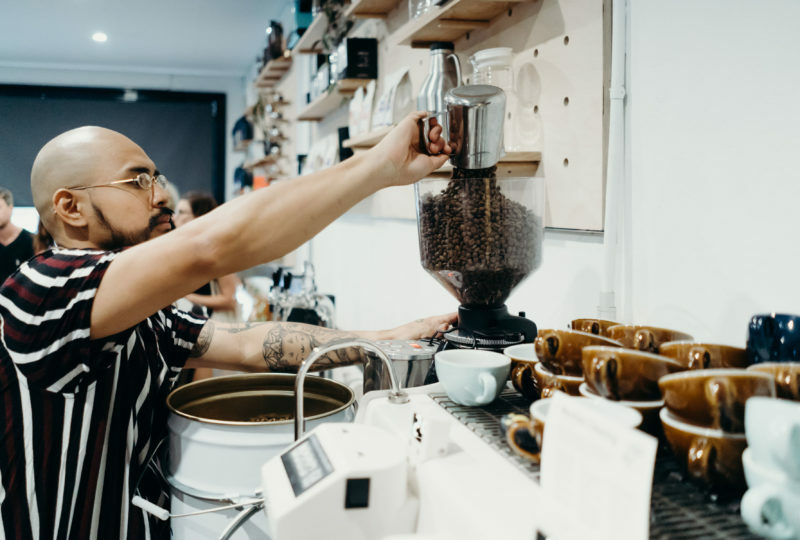 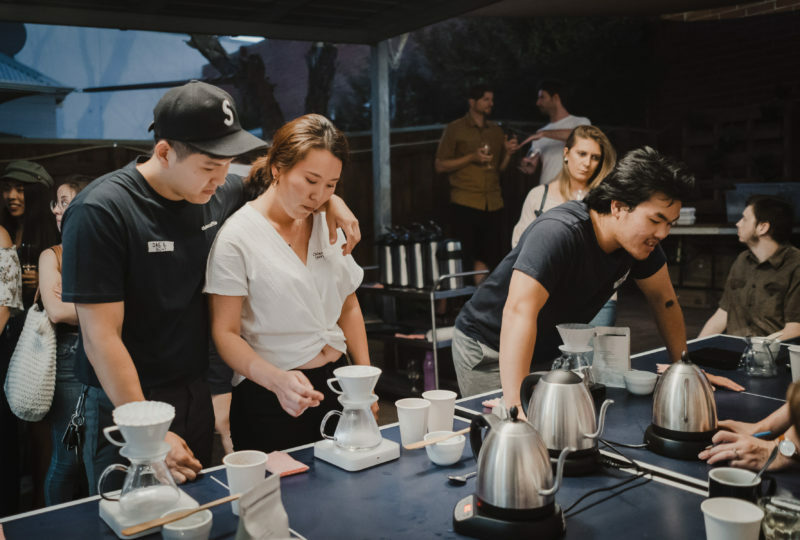 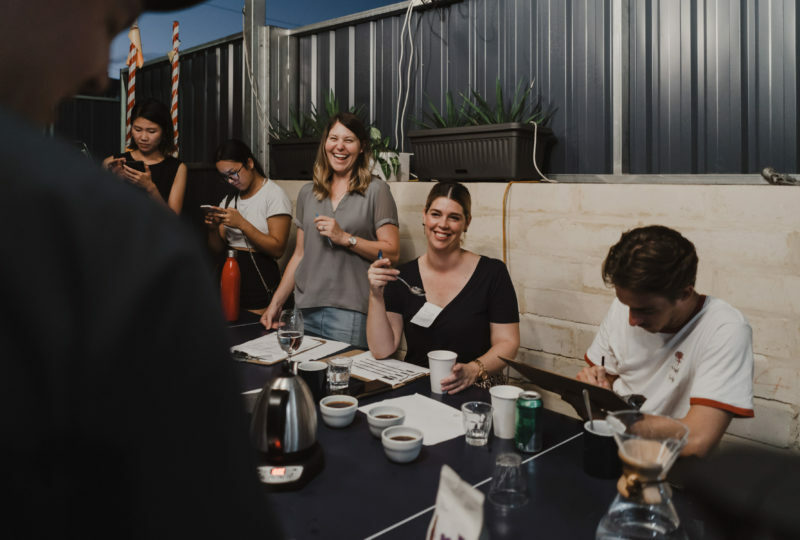 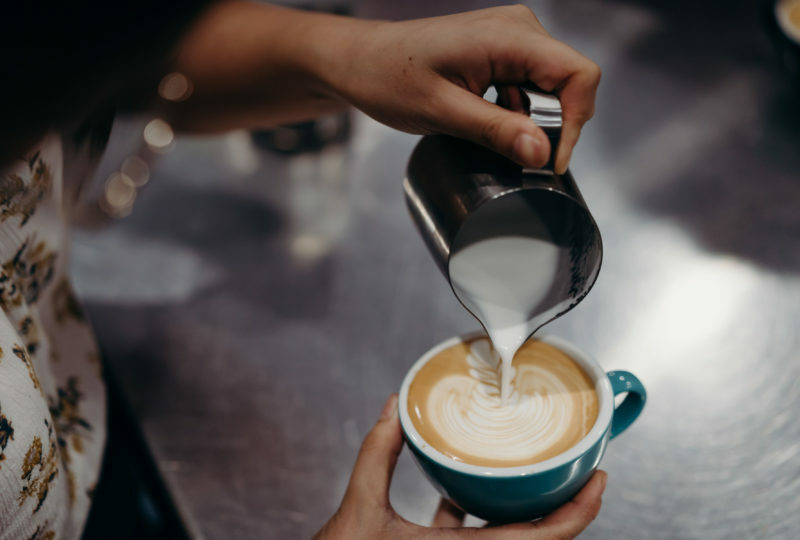 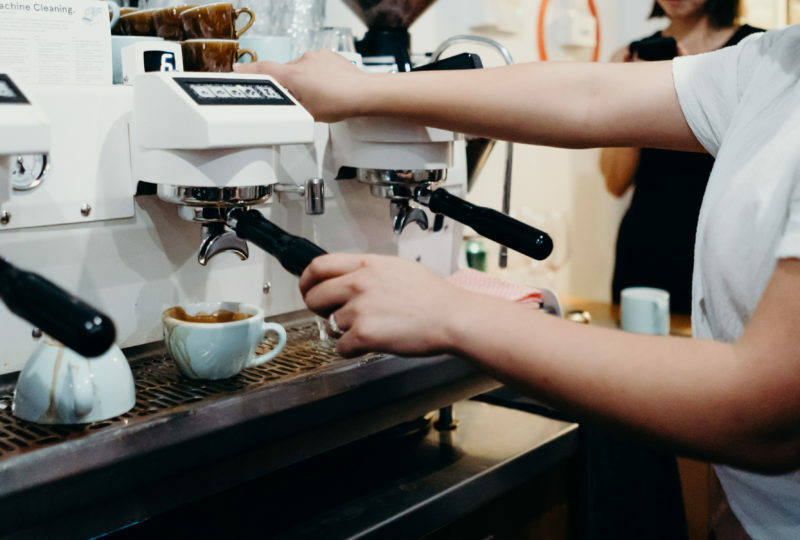 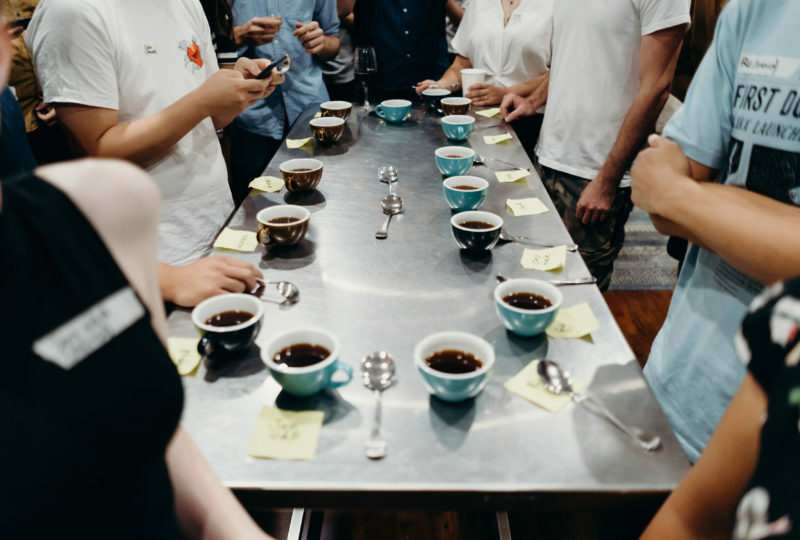 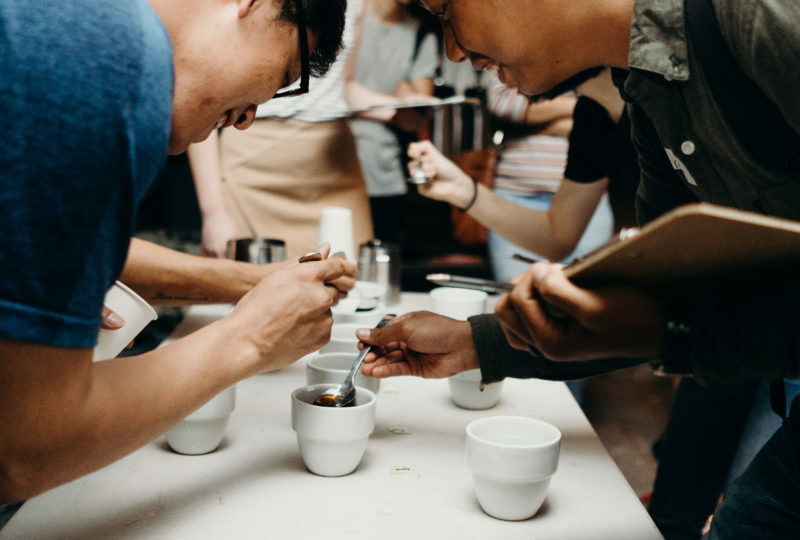 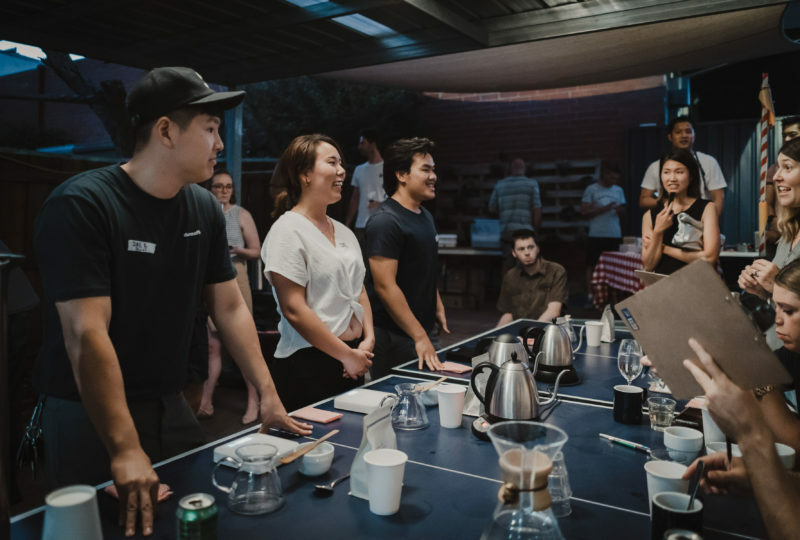 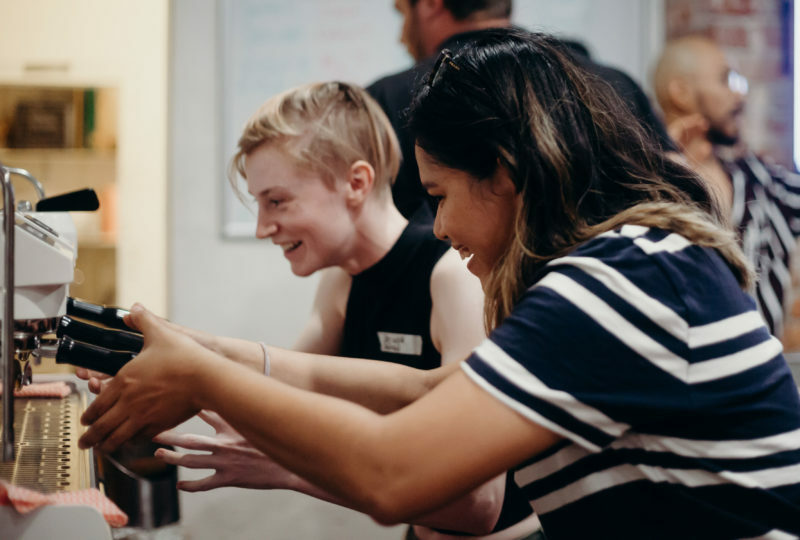 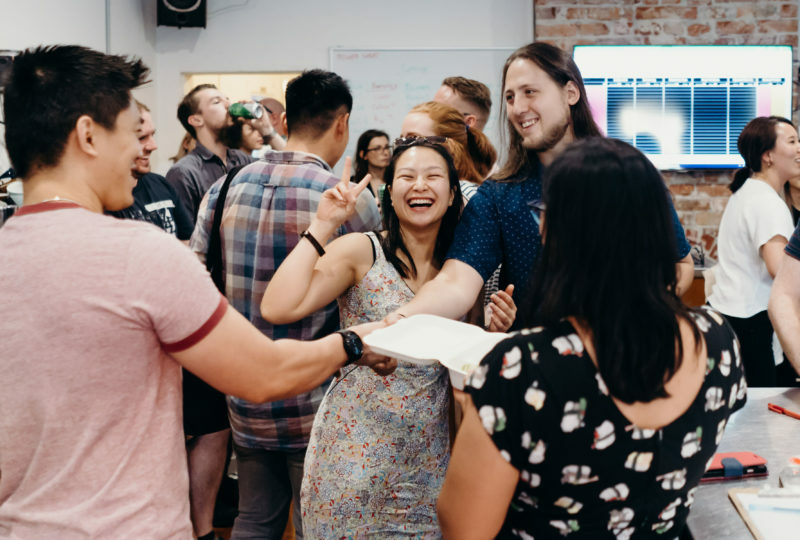 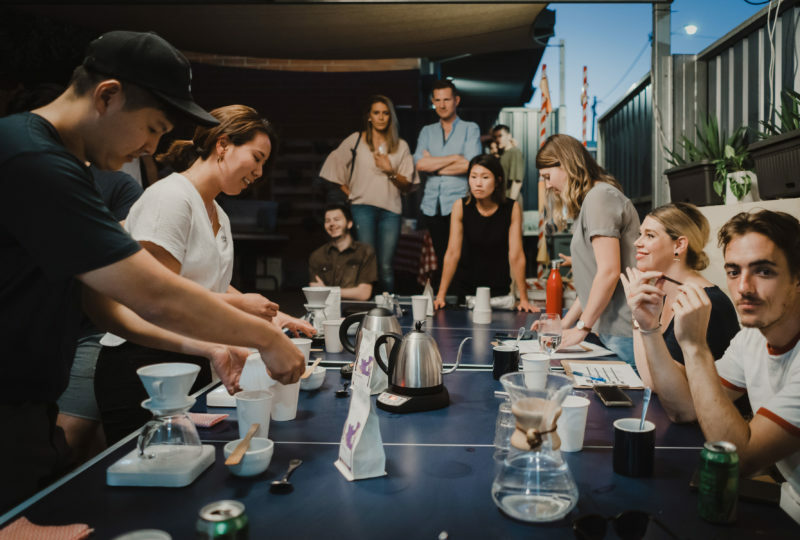 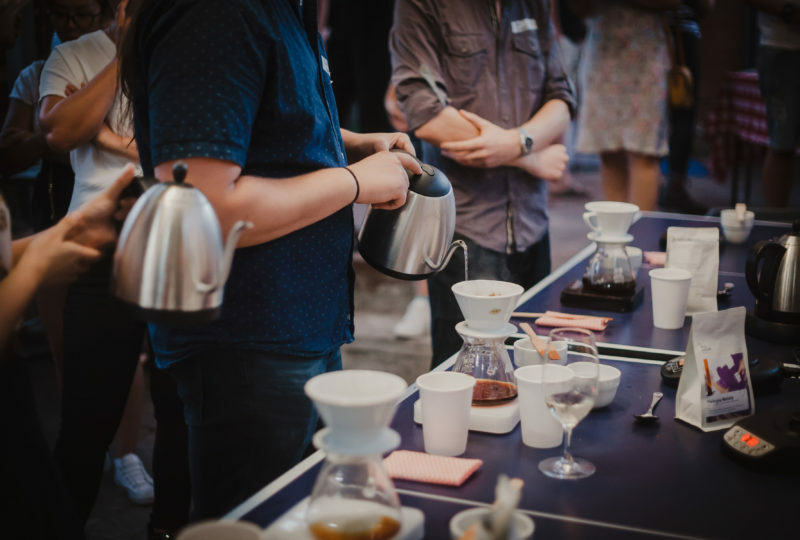 While most barista competitions focus on one particular strength like latte art, brewing or tasting coffees, we were looking for the barista who would come out on top across a gruelling pentathlon of coffee! 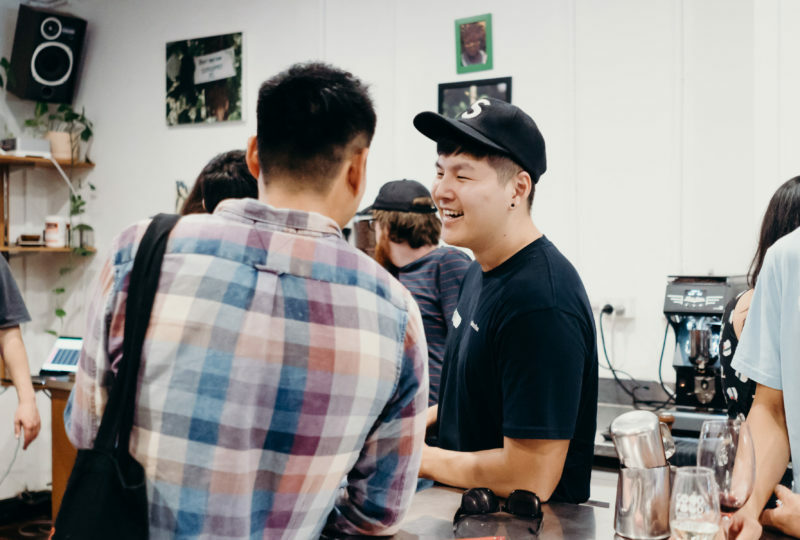 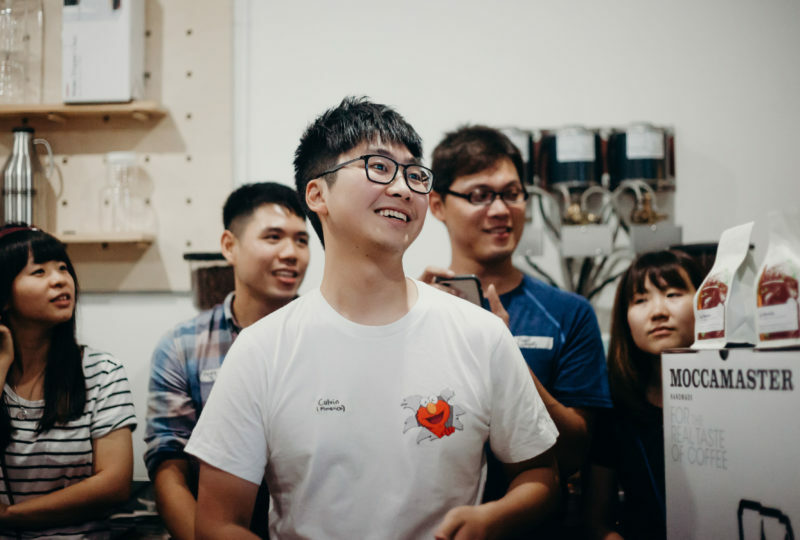 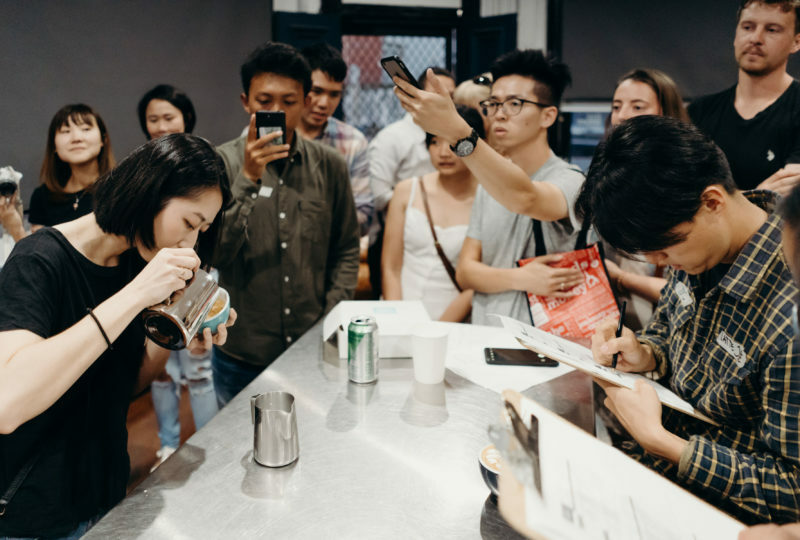 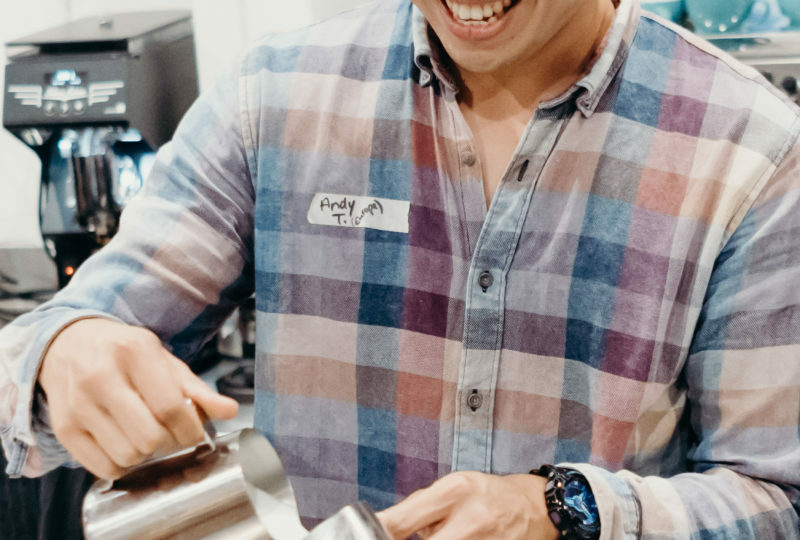 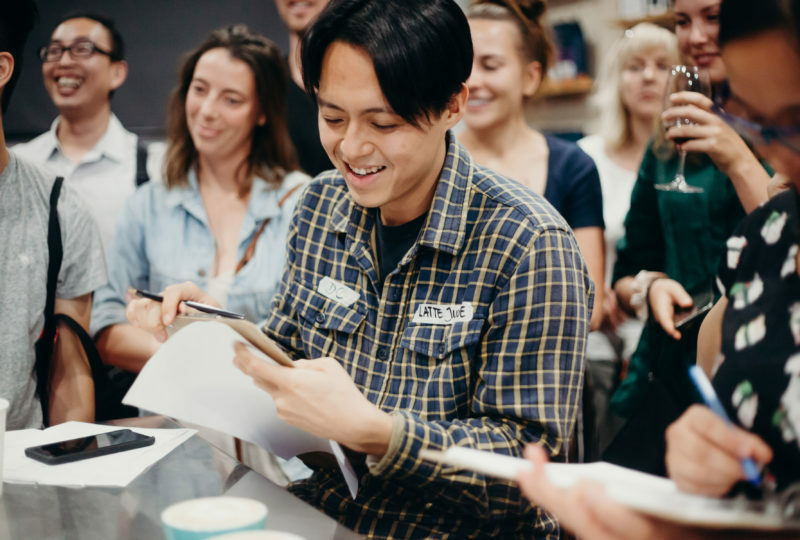 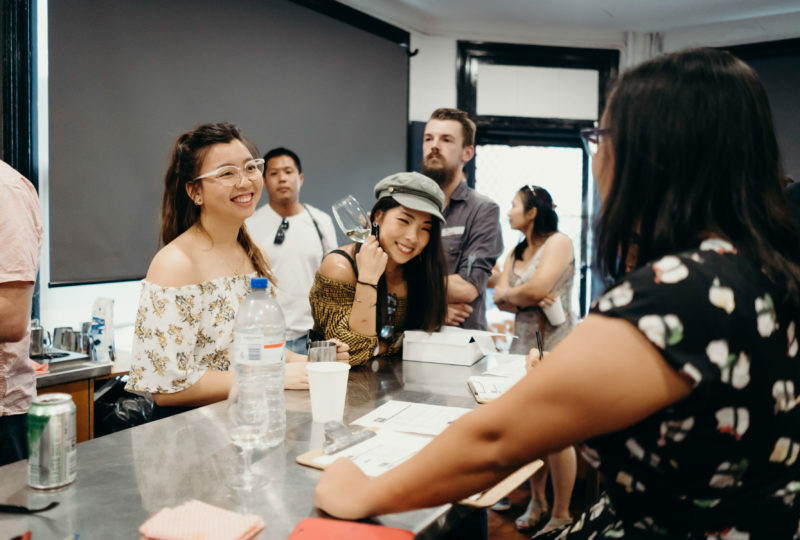 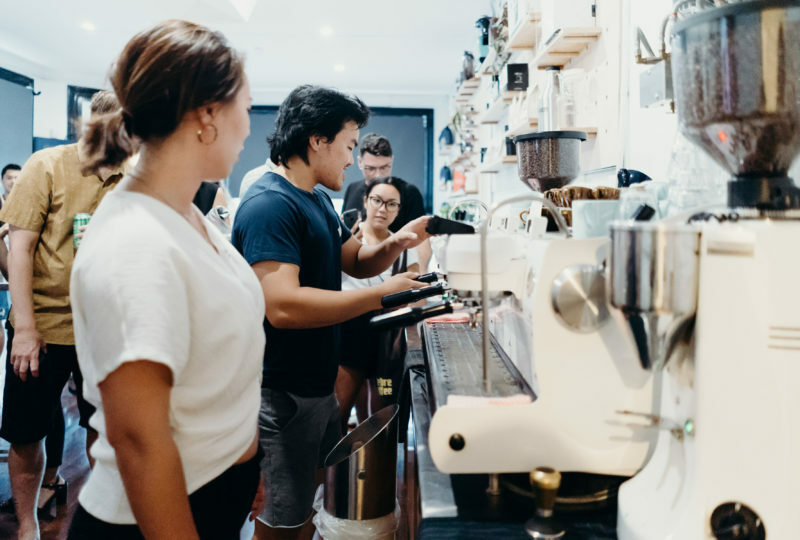 Upon entering the main arena (barista academy), a big crowd of spectators observed / heckled the latte art skills of all 18 athletes, with a thanks to Rie (National Latte Art Championships judge) and DC (bulk competitor experience) casting a critical eye over the latte art put forth. 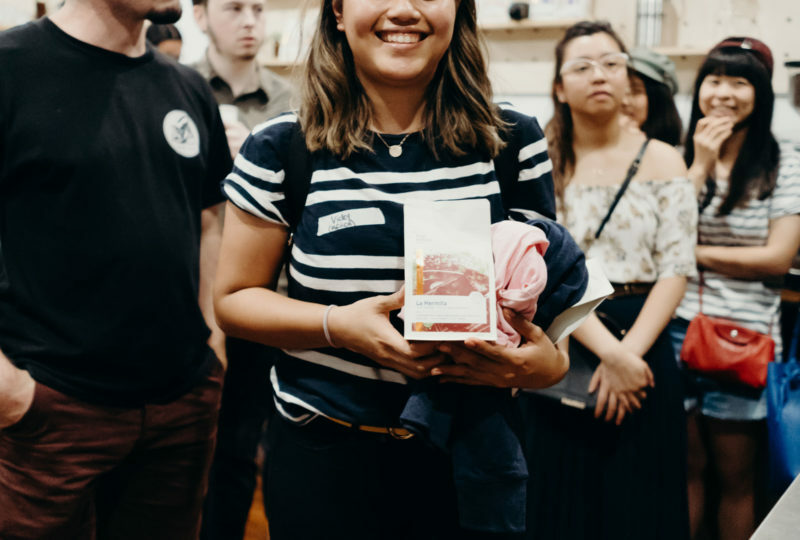 Vicky was an absolute power house taking the win in both Latte Art and Speed-Dial challenge, dialling in a Mazzer in less than 5 minutes! 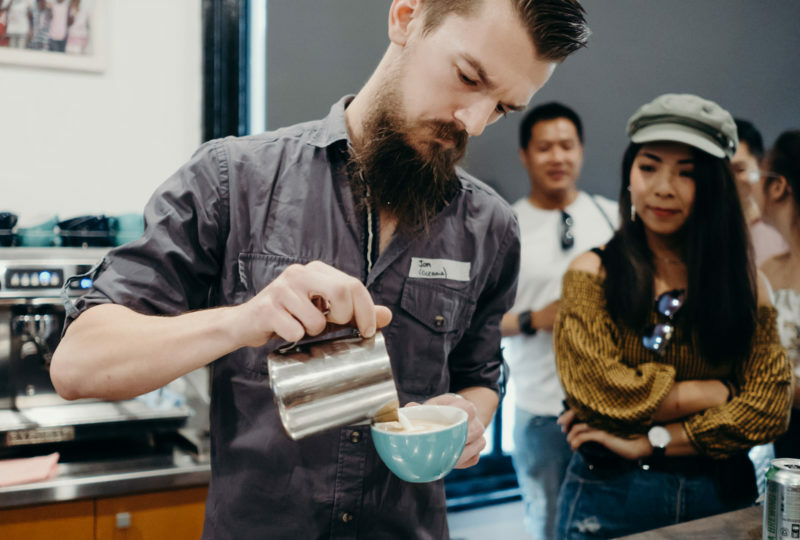 Next in the gauntlet, baristas had to become human scales and dose-by-eye. 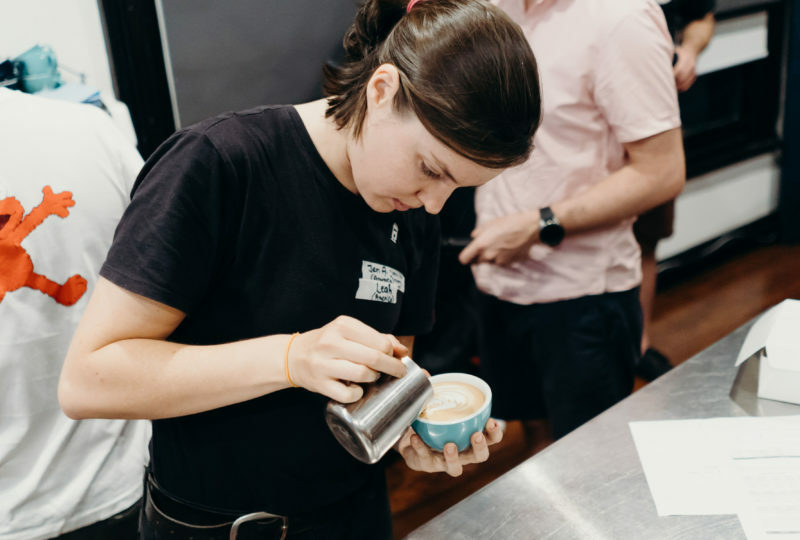 Trying to hit targets in whole beans, ground coffee and the yield of their shots, all by eye, took many a seasoned barista back to yesteryear before Acaia scales were a staple tool. 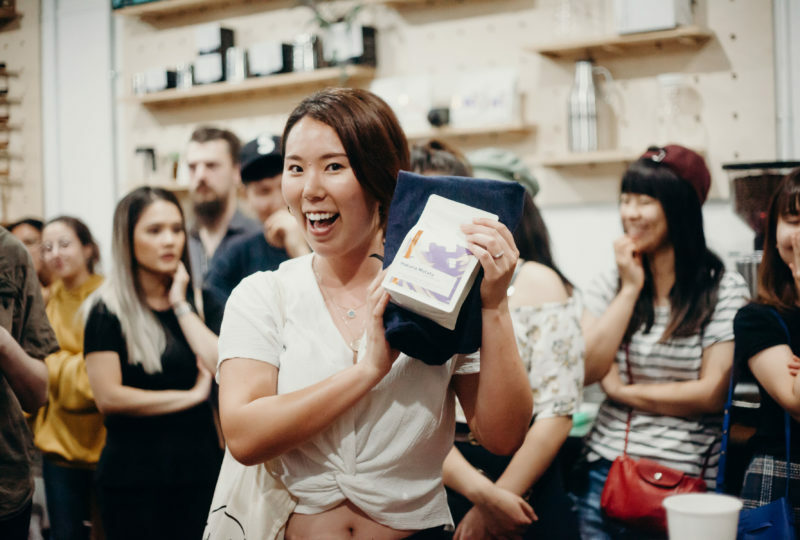 Chihiro and Restu impressed with the best results in this game. 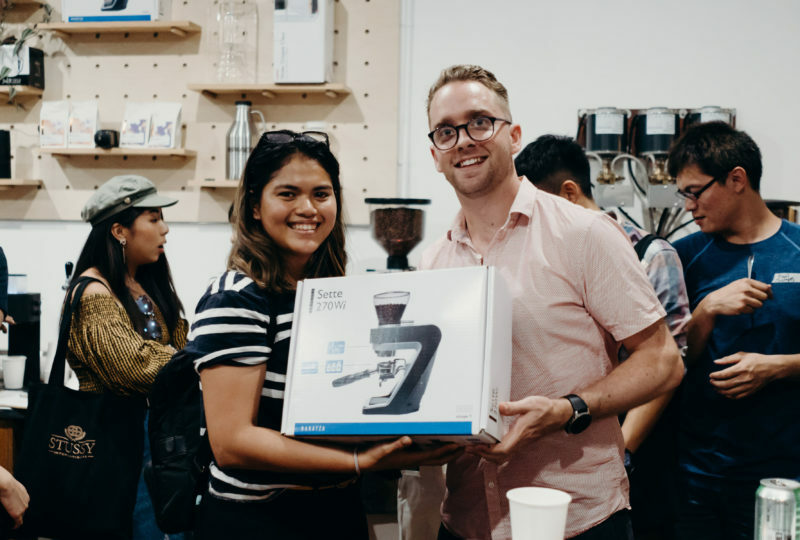 Done with espresso events, athletes moved to the barista academy back porch to for all things filter. 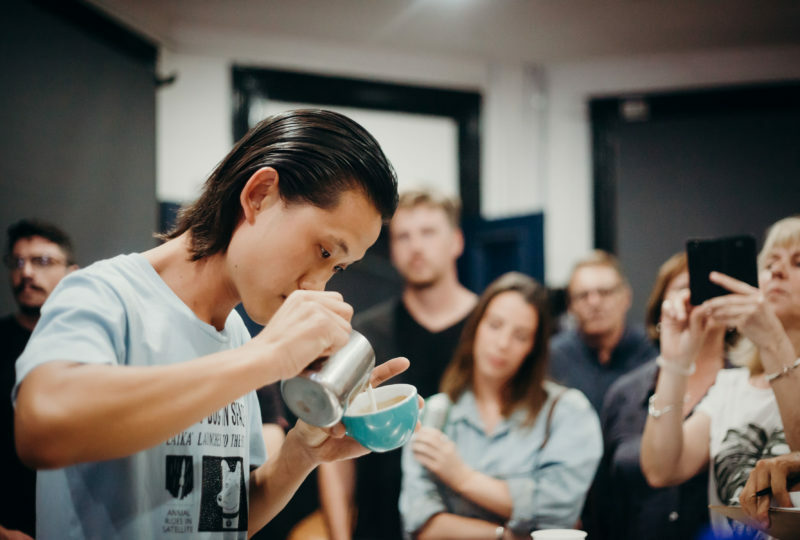 Calvin’s speedy palate took him to victory in the cup tasters with 3/5 correct, the fastest. 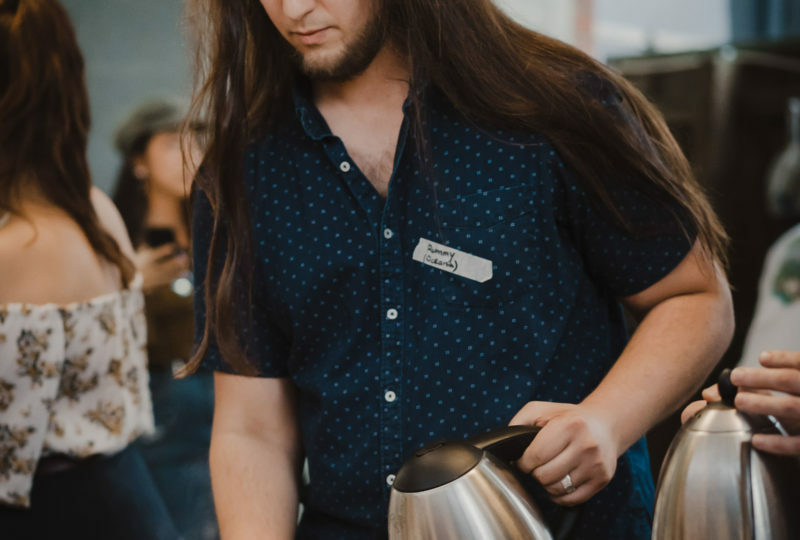 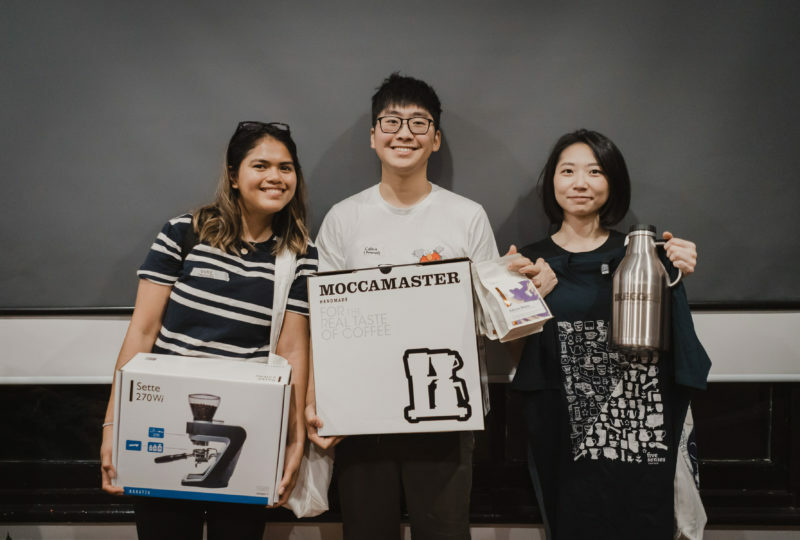 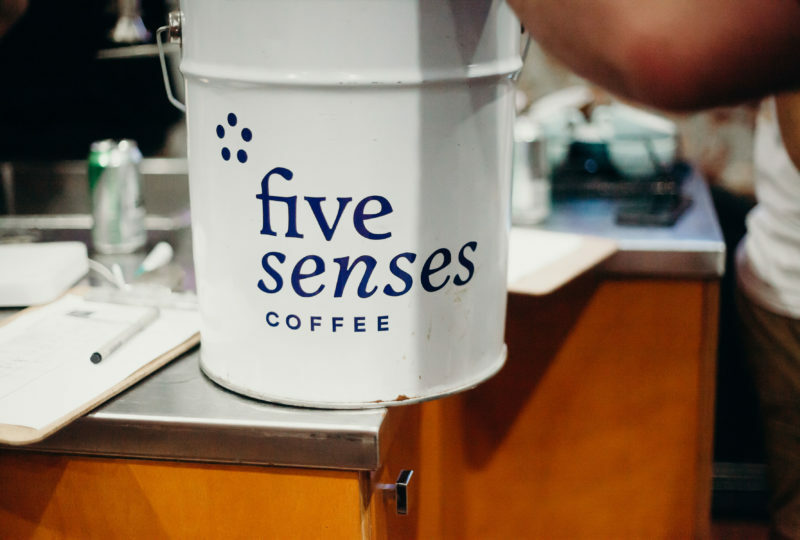 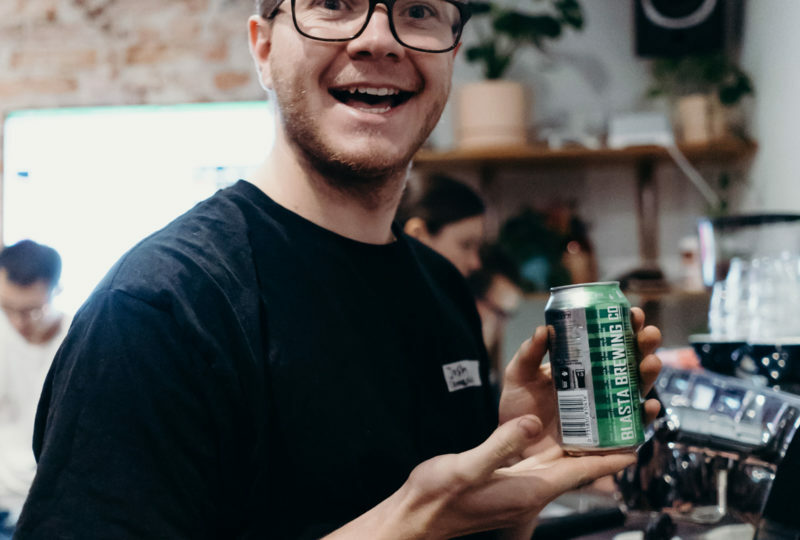 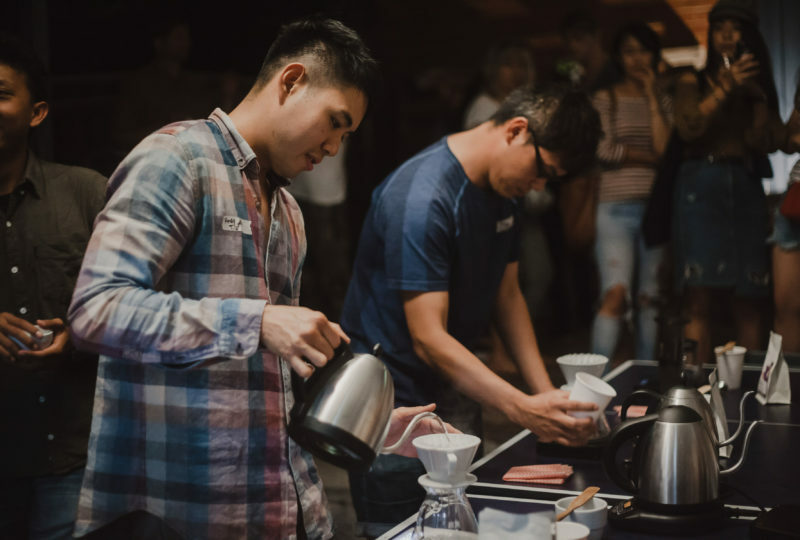 In the final event, baristas were given free reign of our brew gear with the simple task of making ‘the tastiest brew’ with the Hakuna Matata coffee from Ecuador. 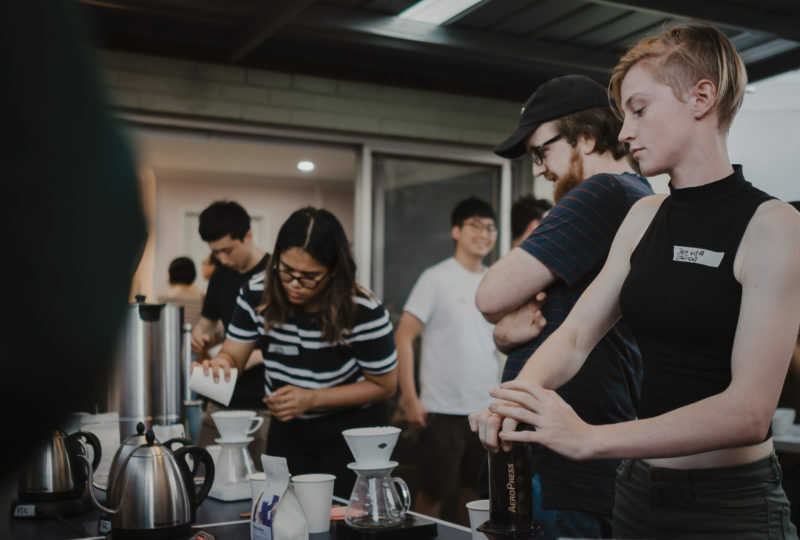 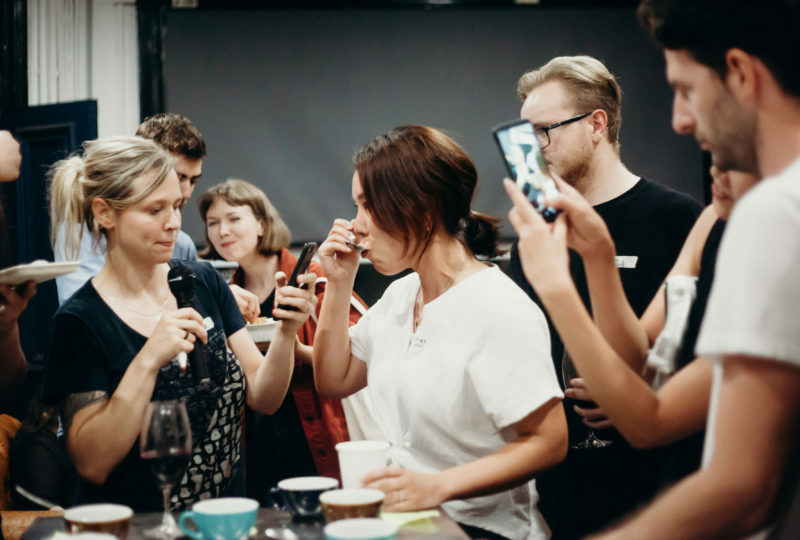 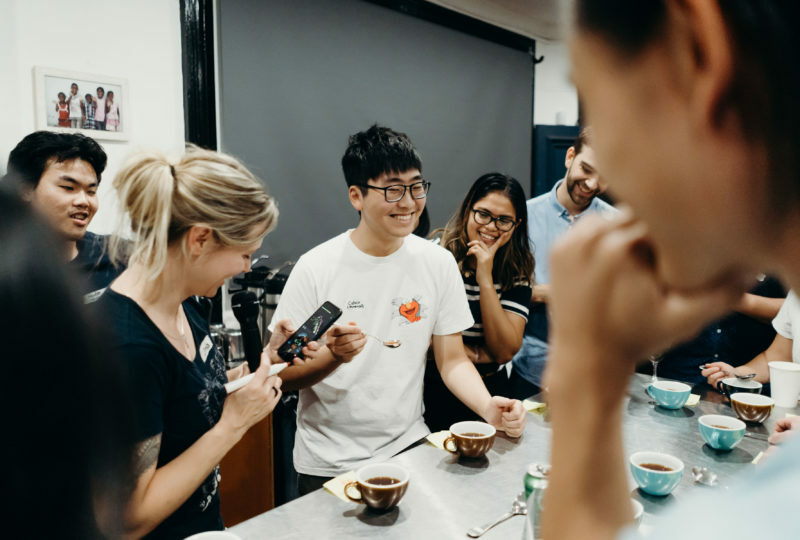 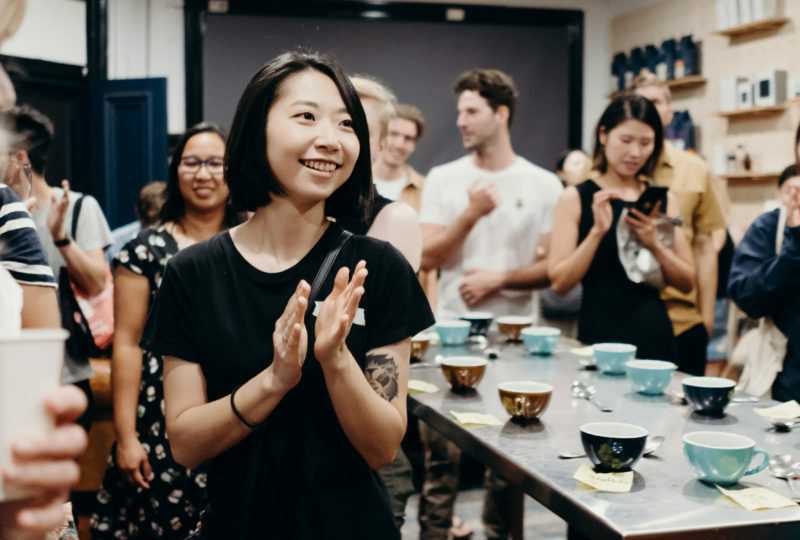 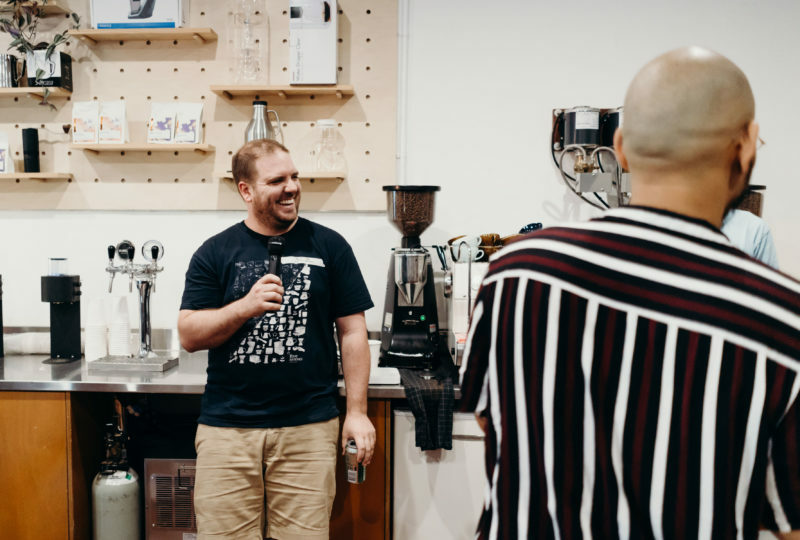 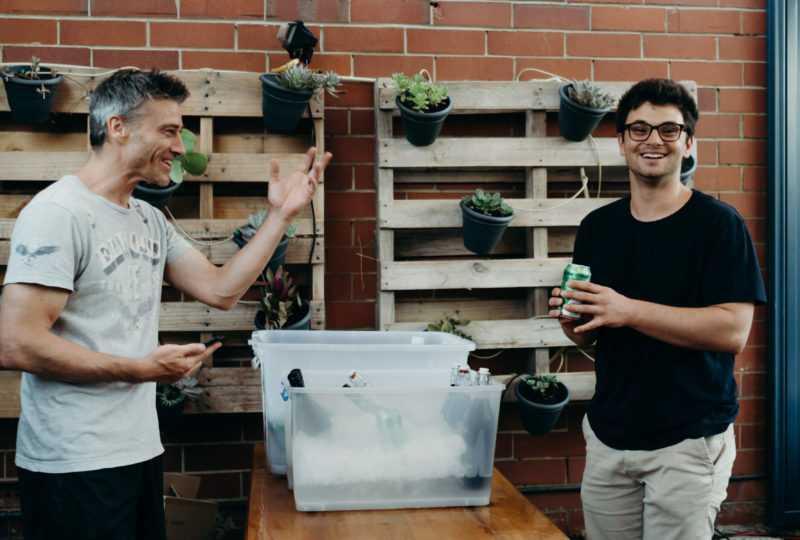 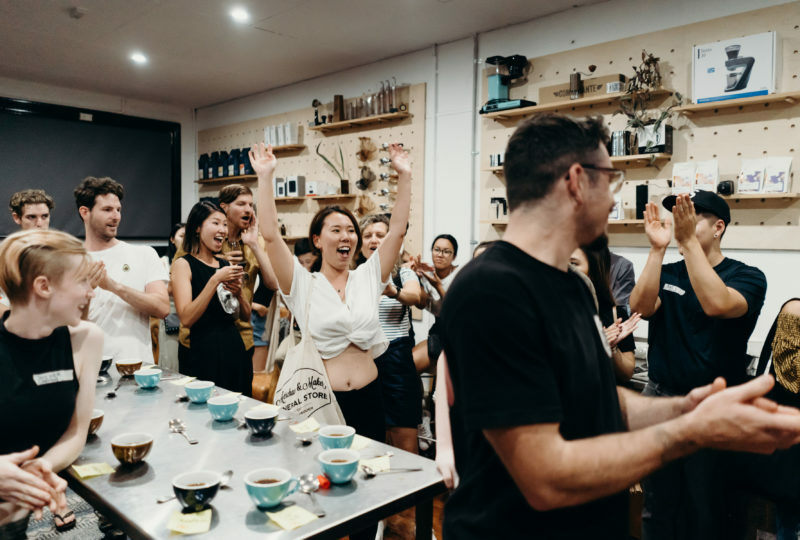 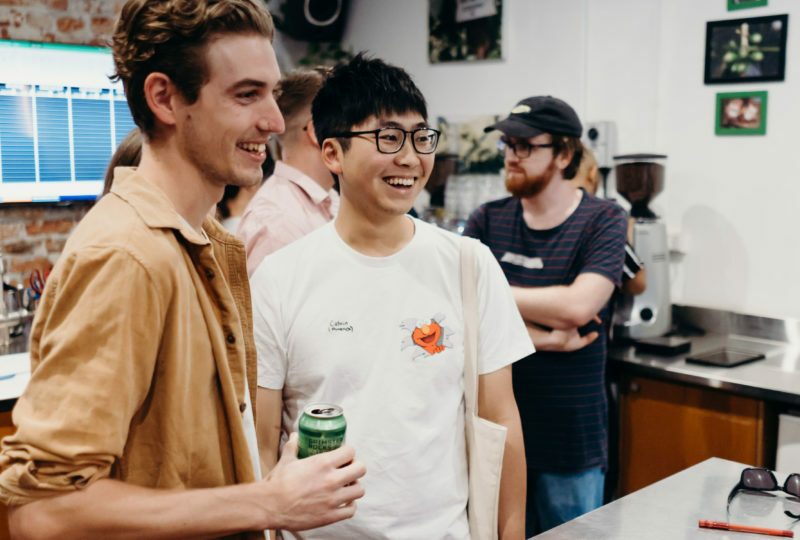 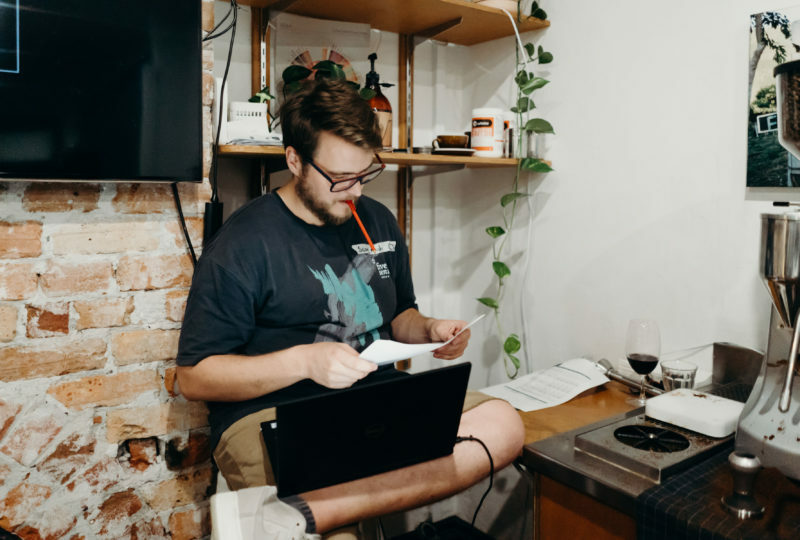 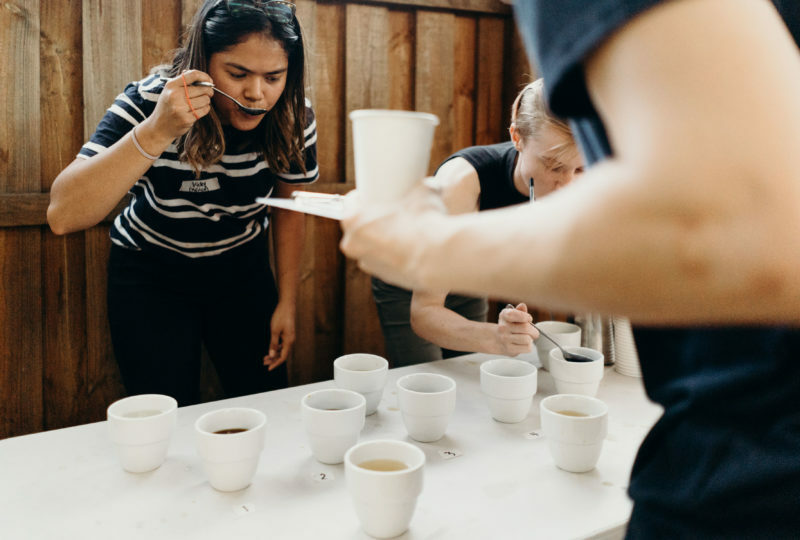 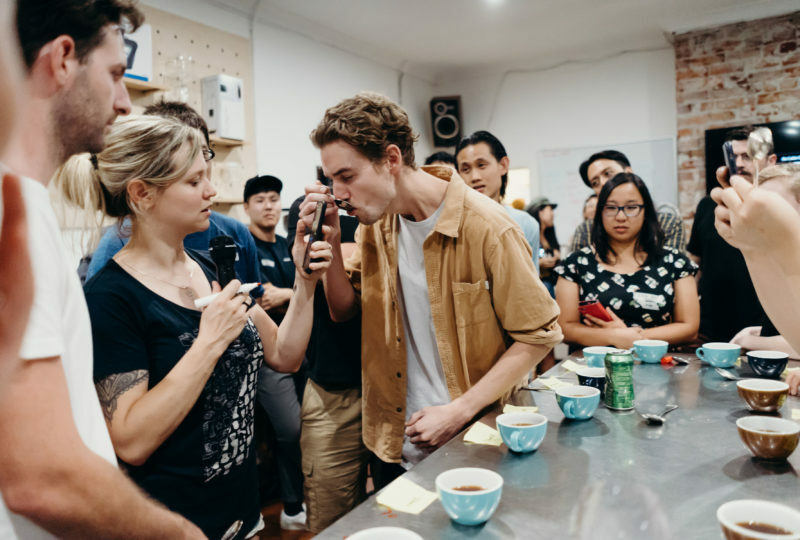 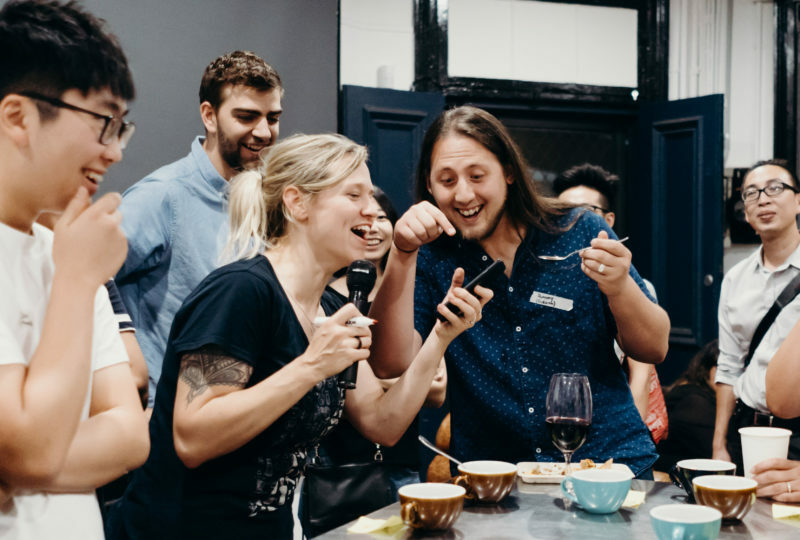 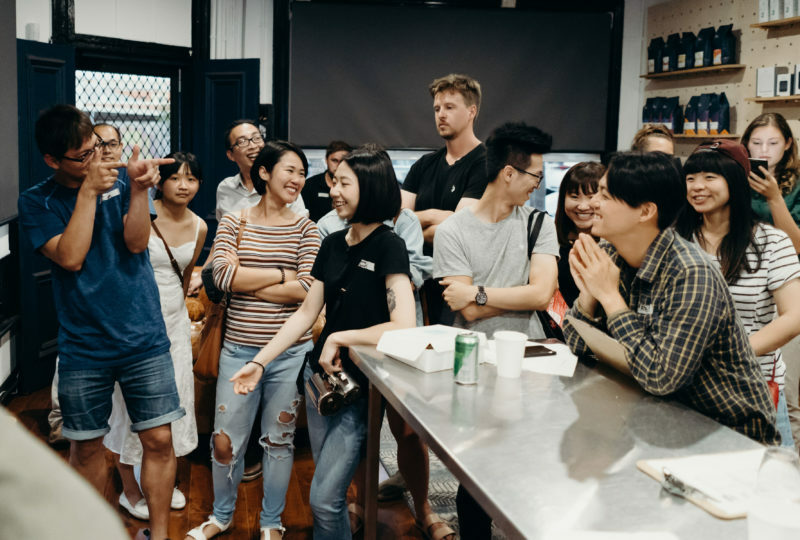 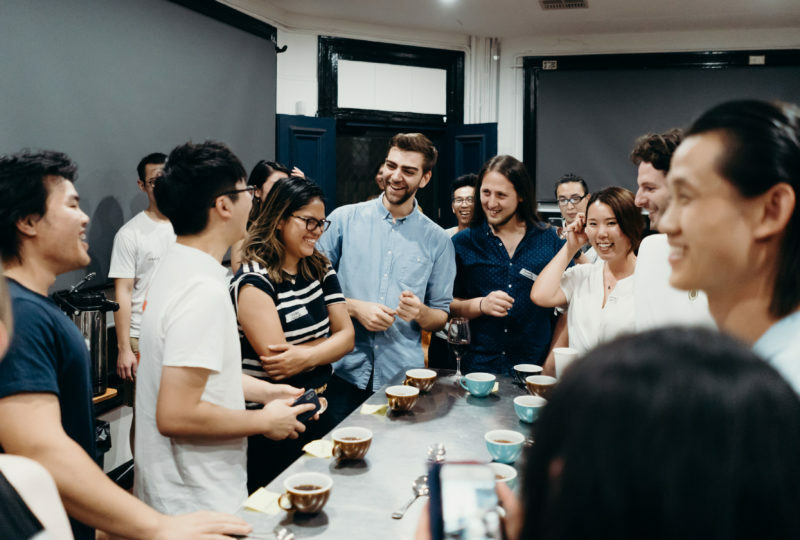 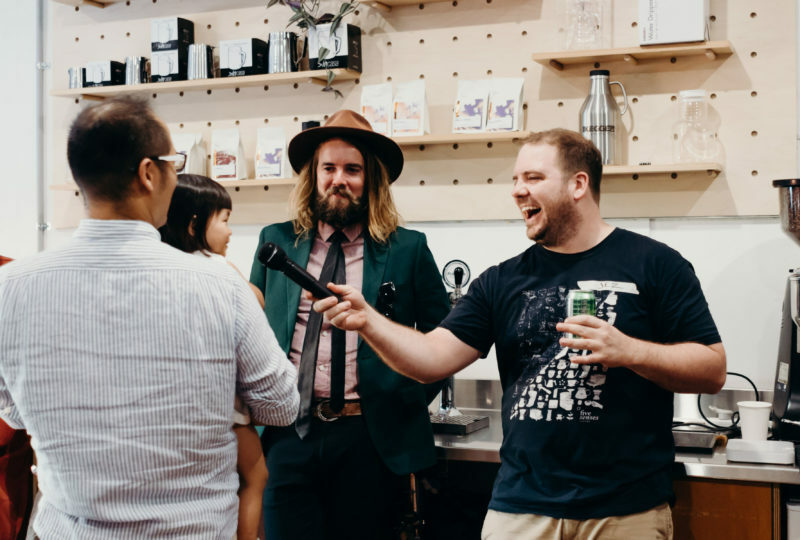 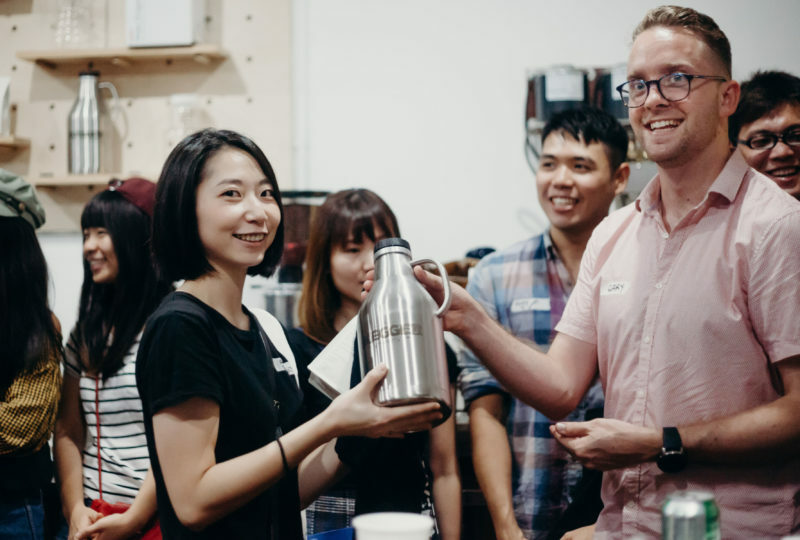 Thanks to Ren (National Brewers Cup Judge) and Matt (a seasoned barista competitor) for taking on the tricky job of drinking delicious coffee to try and find the most delicious – top brew spot was taken out by Anna with her Kalita brew. 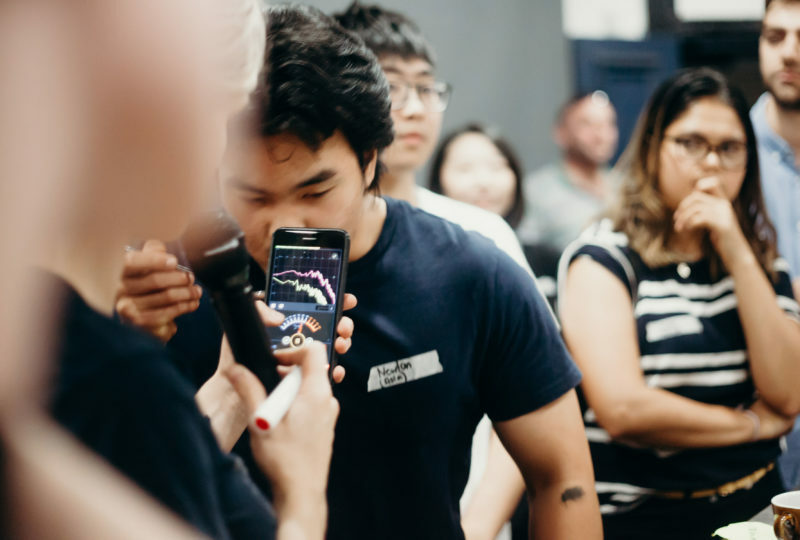 BONUS: While the total scores were tallied up, a ‘loudest slurper’ minigame was held with the winner, Ru, hitting an impressive 93db. 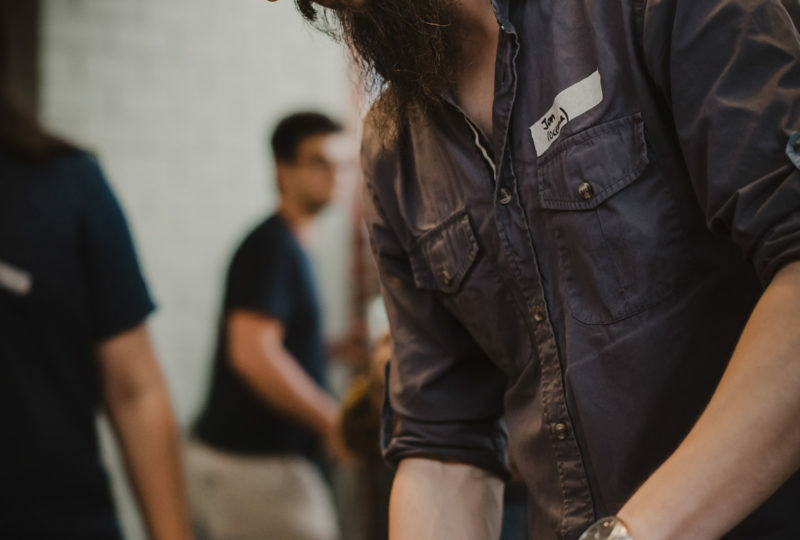 © Photos provided with permission by Rebecca at Le CaMo Photography. 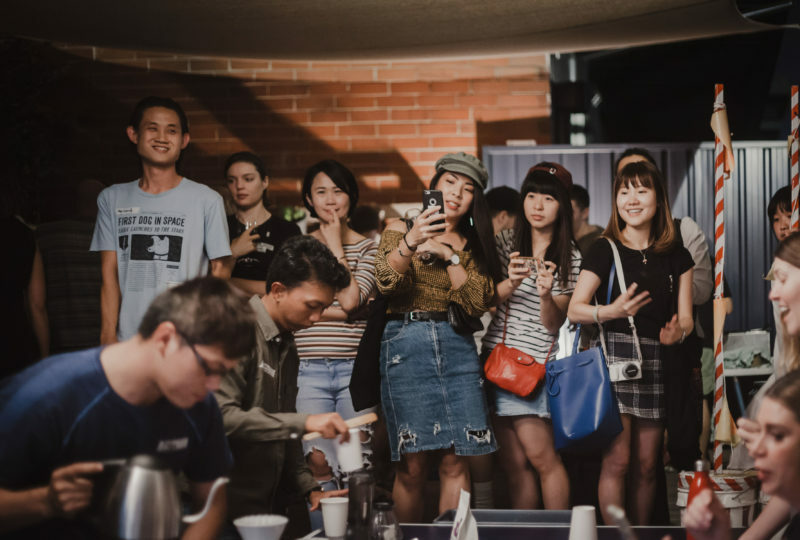 All rights reserved by photographer. 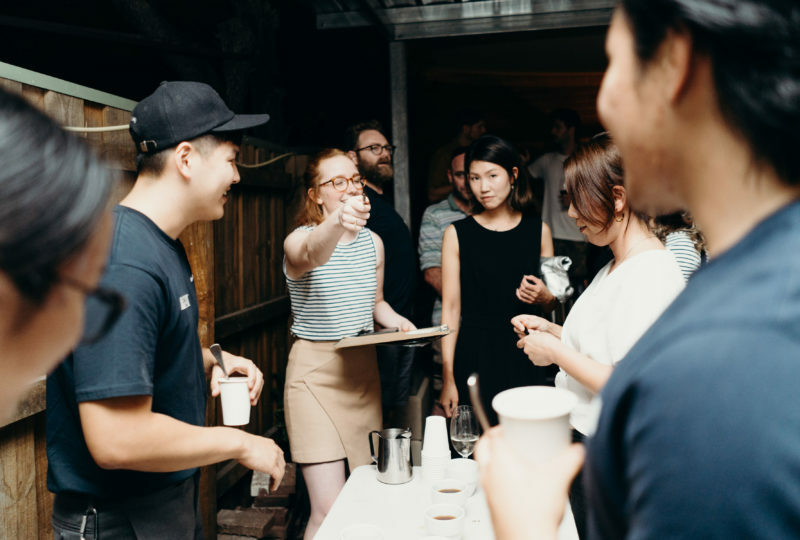 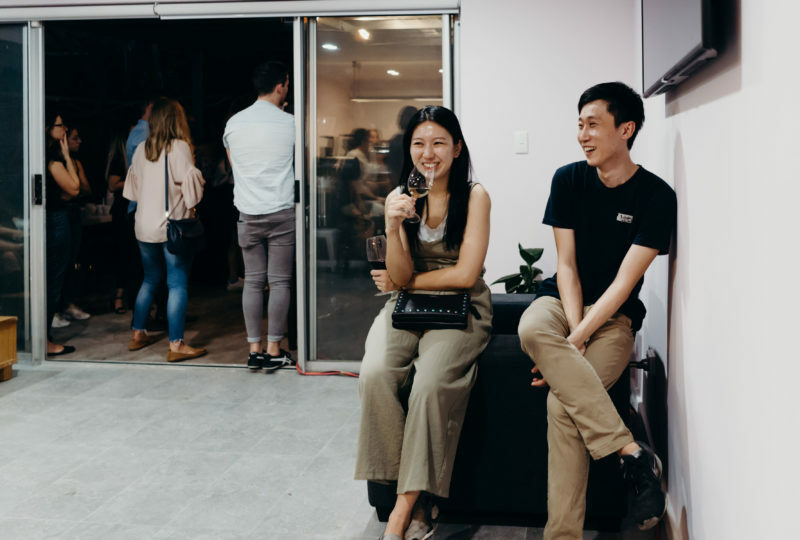 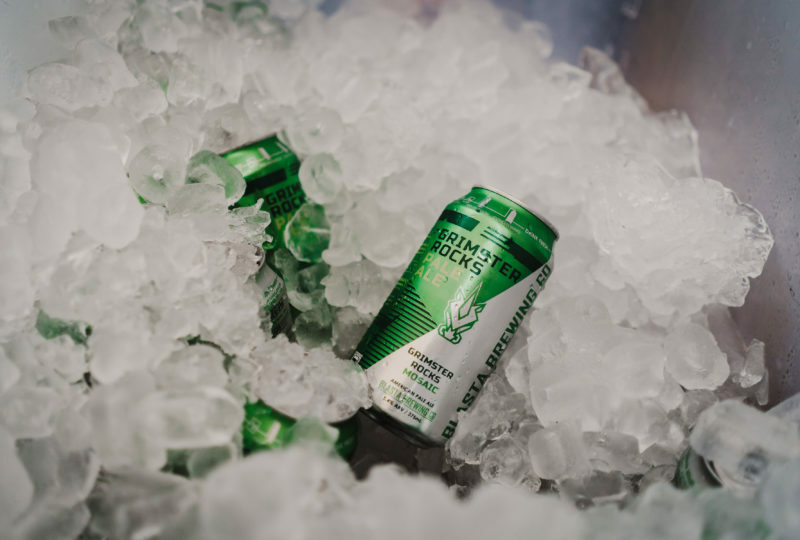 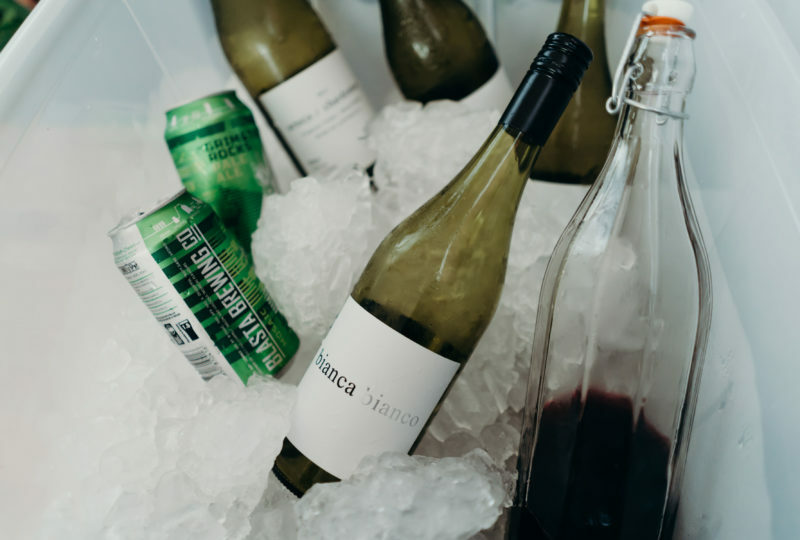 All in all it was a super fun night and great to see the community come together, enjoy drinks from Blasta Brewing Company and The Wine Thief, delicious tacos from Taco Daddy and cheer for their favorite competitors.